Here’s how homeowners can weather a storm! Have a three-day supply of food, water, and any essential medications for every member of their family, including pets. A first aid kit should be ready and available. Don’t forget to have paper copies of important medication lists and medical records, as well as pertinent financial and personal information like birth certificates and emergency contact information. Make sure to have changes of underwear, comfortable shoes and clean wool socks. Portable). Call Lucci Electric to service it twice a year! DON’T LET THE WEATHER RUN YOUR LIFE! When Mother Nature is in command of the weather, there is little you can do to control it. Yet, you can control staying ahead of the storm season by preparing for the unexpected. 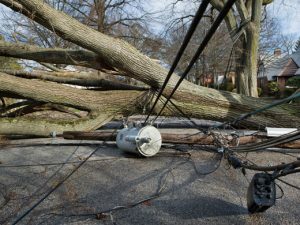 Every year, severe weather runs the risk of leaving up to millions of people without power for extended lengths of time. Some of the worst storms have eliminated access to power in certain areas from hours up to weeks. Are you prepared? Contact Lucci Electric for your turnkey generator solution. 2018 Hurricane Predictions have been made. Are you prepared? Winter is almost behind us and spring is on the way but that also means the National Hurricane Center has made their official predictions for 2018. Our weather patterns are not predictable. Winter roared into March here in the Northeast and we even had measurable snow in April. 2017 roared to life in September and reminded everyone how powerful and destructive these monster storms can be. 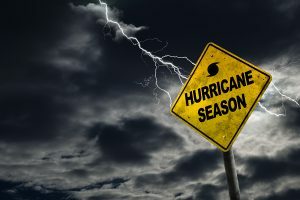 The Atlantic hurricane season lasts from June through November. Forecasters expect a slightly above-average season, with 14 named storms. Seven of those are expected to become hurricanes and three are expected to be major hurricanes. While the western tropical Atlantic is currently warmer than average, other portions, including the eastern tropical Atlantic and the north Atlantic, are cooler than average. The majority of storms occur between mid-August and mid-October. Be prepared; an automatic standby generator or portable generator for comforts during power outages is a necessity and no longer a luxury. Call Lucci Electric for your turnkey generator solution today. With the popularity of smart phones, tablets, Alexa, Google Home, Amazon Echo and Apple HomePod, we have become accustomed to having our needs at our fingertips and now by voice. This technology now allows for music to play throughout your home, control light switches, window shades and thermostats to name a handful. You can also operate televisions, security cameras, light bulbs and small appliances. This advancement allows for energy conservation, peace of mind and ease of use. Smart home technology is also a safety feature, advancing to carbon monoxide and smoke detectors, smart locks and even doorbells with built in cameras to see who is at your door. Garage doors can now be accessed via your smart phone. It seems the possibilities for home control and automation are endless. There are even smart home applications to feed your pets while you are away. Dispense a meal or a treat. The option is yours. If you have a second home these smart home controls allow you to “check” on your home and know that the heat or air conditioning is operating, that the water heater is on. A camera application provides security. Call the experts at Lucci Electric to help you establish home automation that is just right for you and simplify your life. 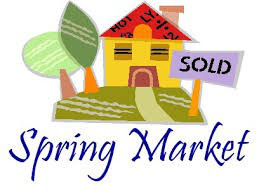 Are You Ready for the Spring Real Estate Market? Smart Home technology, lighting design or an Automatic Stand-by Generator can add value to your home. Whether you are looking to purchase your first home, a new home, relocating or downsizing, spring is typically kick off for the residential real estate market. Now is the time to prepare your home to show well and provide value to the buyer. 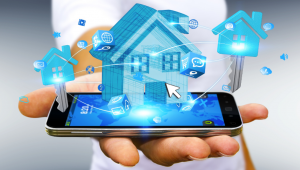 This can mean adding automated smart home technology to the house such as smart thermostats, smart switches and control from your smart phone or tablet. Adding or changing the lighting in a room or rooms can provide a fresh perspective. A few key updates can go a long way in selling your home. Does your home have a generator? Mother Nature is never predictable, vehicular accidents can take down power on a gorgeous day and our grid is vulnerable to outages. An automatic standby or even a portable generator with professional installation increases the value of your home. Protect your home from a utility outage. A few hours or a few days can be inconvenient to no longer having the comforts of your home accessible. Ensure your home is protected by a generator. Contact Lucci Electric to assess your home automation needs , lighting design or to develop a plan for a turnkey generator installation. Spring thaw in February causing your roof to leak? 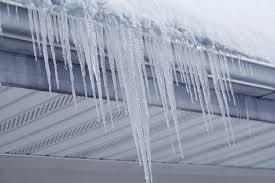 Warmer daytime temperatures, freezing nights and a few more snow events spell trouble for potentially leaking roofs. Ice dams are not obvious threats. They become obvious after the damage has been done. Snow on the roof, heat rising in the attic, and Mother Nature’s warm sunshine produce melt that are all a recipe for possible ice dams. Melting snow runs towards the edge and eaves of the roof, and then they refreeze and melt again in the days following a snow storm. This cycle cause the ice to form and “back up” the gutter system preventing the flow of water. The water pushes behind and under the shingles and eaves resulting in interior damage to ceilings, walls and windows. 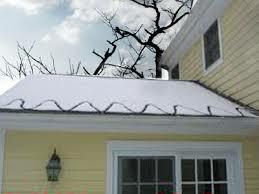 Roof and gutter deicing cables along with automatic moisture sensors are the best solution to this problem. De-icing cables offer the most direct and effective protection. Fastened into position over the eaves (and often within the gutters as well), these cables output heat to prevent melted snow from refreezing before it has the chance to run off the roof, into the gutter or drainage system, and finally into the yard. Conditions are ideal to have the professionals at Lucci Electric review your roof and gutter deicing needs. Turn off or disconnect appliances and other equipment in case of a momentary power “surge” that can damage computers and other devices. Consider adding surge protectors to electronics or have a licensed electrician install whole house surge protection. 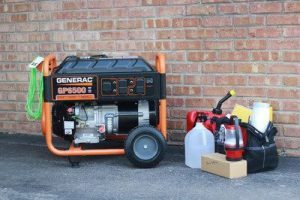 If you have an automatic generator, make sure you have fuel, and any debris is cleared around the generator. Standby generators seem simple enough — using LP or natural gas as to create electricity — but really it’s a complex machine, just like your car. Would you let your car go a year without a check-up? Of course not, because you know if you miss a little problem in your car it can quickly turn into a big one. As an authorized Generac Service Center and Dealer, we check the oil, oil filter, spark plugs, air filter, adjust and tighten the valves, perform a transfer test, check the gas pressure, check the voltage, hertz, and RPM outputs, and check the battery. A well-maintained standby generator can last from 10,000 to 30,000 hours. 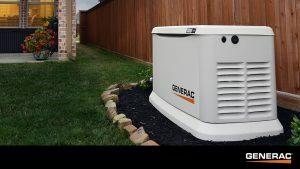 On the conservative end your generator could last about 10,000 hours; that means your standby generator, if well-maintained has a potential life span of at least 20 years. That is definitely a long-term investment. A well-maintained standby generator should last you years and give you peace of mind. Will Monday’s Solar Eclipse affect our electrical power in Connecticut? even though Connecticut won’t be experiencing the maximum impact of the solar eclipse. The attached article explains the situation in more detail. Hurricane season 2017 could be one of the worst in more than a decade. Are you prepared, or have you become complacent? It has been more than a decade since a major hurricane made landfall in the United States. According to the National Hurricane Center, this is the longest stretch in history without a Category 3 or greater striking the country since record keeping began. So odds are that this year or next could bring a significant series of landfall storms and these could hit here in the Northeast. While hurricane season’s official start is June 1st and remains in effect until November 30th. This does not limit these events to a specific timeframe. Power outages occur from forces of “Mother Nature” at any time. Here in the Northeast we have experienced major impacts of storms in the past 10 years including Ike, Irene, Debby, Isaac and Sandy, but not a hurricane. Our power grid continues to be more vulnerable as time passes so these storms could have quite an effect so it’s critical to be prepared. Hurricanes can cause serious damage, whether wind or water related. Rebuilding takes time and money. While most reminders of recent storms are no longer so visible in this area we should remember the devastation and prepare for the worst. Do you have an emergency plan for your family? Power outages affect wide areas and leave millions of utility customers without power. Utility crews take days and sometimes weeks to restore power for all customers. Basements flood without sump pumps. Hot humid air promotes mold growth. Food spoils without refrigeration. 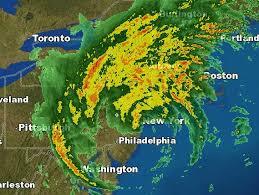 Standby Automatic generators are the best resource to guard against long-term outages. Along with a backup power generator, everyone should have a week’s supply of non-perishable food, water and medicine for each family member. Goods and services are in short supply after a hurricane. Have flashlights, batteries, and even solar powered charging on hand. Your home is probably the primary place of shelter for you and your family. This is where you go to stay safe during extreme weather. Ensure a supply of electrical power to keep your home heated or cool, dry and safe. A standby generator will power your central air conditioner and furnace along with refrigerators and freezers. During wet weather, they keep sump pumps running and the lights on. 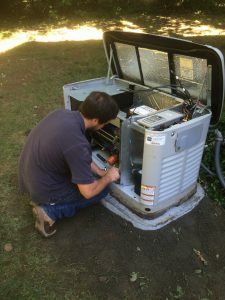 The time to install a generator is before you need one. A back up power source is a necessity not a luxury. If you have not prepared with an Automatic Standby Generator or a portable generator, contact Lucci Electric to help solve your emergency power needs.